This one-of-a-kind Oversize Tire Carrier is constructed of heavy-duty tubular steel and has a black powder-coated finish to protect against corrosion. The supplied hardware mounts to the rear corner of the body with backing plates (minor drilling is required). 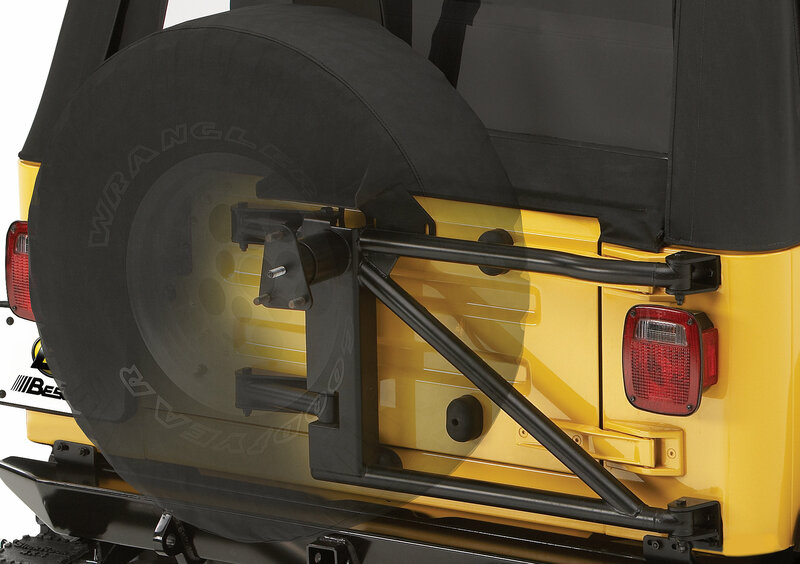 The tire carrier swings away with the tailgate, making access to the rear area a cinch. 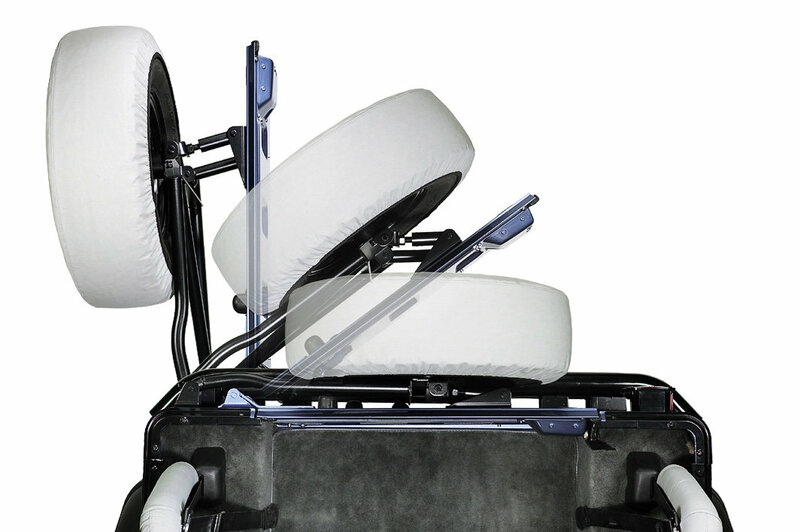 The adjustable tension and size settings can accommodate up to a 35 spare tire & hold approximately 200 pounds of weight. 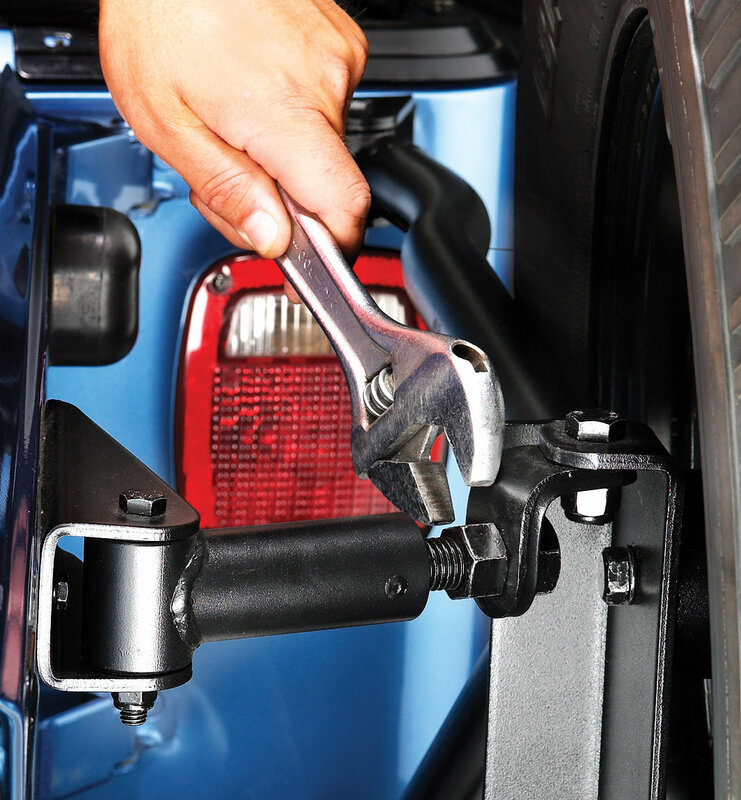 A third brake light adapter is included, allowing you to relocate it to the carrier. Works with factory bumpers & most aftermarket rear bumpers. 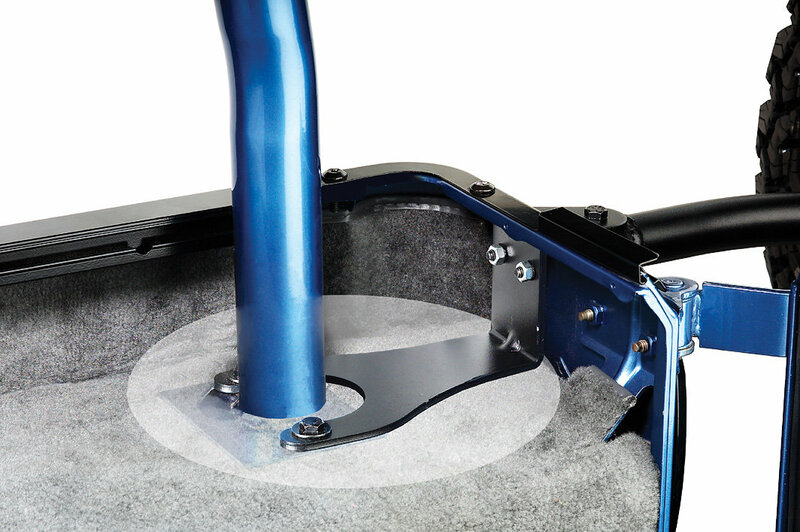 Accommodates a tire up to 35" and 200 lbs. Heavy tubular steel protects against corrosion. Black powder coat paint with wrinkle finish. Be sure to check out the matching Front Bumper and Rear Bumper to complete the look of your Jeep! When I ordered the Bestop tire carrier I was replacing a GenRight drop down aluminum carrier. I wanted a easy to use carrier that allowed normal use and access to my Jeep. This was a very easy product to instal and seems to be very well made. I put it on my 1995 YJ after looking at many other tire carriers with great reviews and feedback which this one had no reviews or feedback. I'm really happy with how it turned out. The only thing I added or changed was new body mount hardware as I have full aluminum armor and the supplied hardware was not long enough. I also added a 3/4x10 nut to the upper carrier arm for added support. Along with this carrier I ordered a bew tailgate to replace my rusted and beat tailgate. Thanks to Jason at ext 367 for absolutely awesome service and product knowledge. This guy is always a huge help!